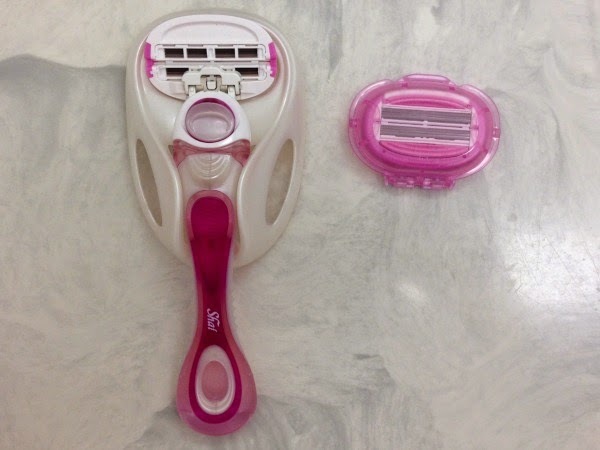 When I was younger I remember wanting to shave my legs so badly. I was one of those kids that always wanted to grow up faster, and do everything older girls (aka teenagers) did, and shaving was one of those things. I begged my Mom forever to let me shave and one day she finally caved. However, she decided that since I am was very clumsy that I should wax my legs instead of shaving them to avoid cutting up my legs. Well let me tell you, that was a nightmare. At that point in my life I was still terrified of anything like that and screamed like I was being murdered during the entire waxing (thank god it was just from my knee down!). The lady waxing them and my Mom felt so terrible and they wanted to stop, but even though I was crying all I kept saying was that I didn't want uneven legs! So after that experience, once the hair grew back on my legs my Mom decided that shaving was a much better option even though I took a chunk out of my leg my first time around. Well fast forward about 10 years, I've finally gotten shaving down pact, and today I am going to show you how to get the perfect shave. The people over at Dorco were kind enough to send me this to review for all of you, and I cannot say enough good things about it! 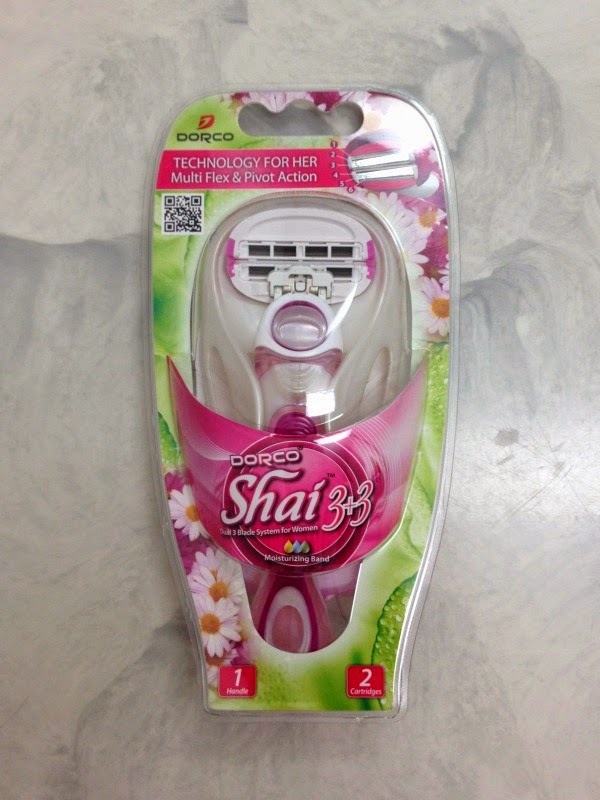 The Shai has 6 blades, and a moisture strip containing vitamin e, aloe, and lavender oil. The handle is very comfortable with it's rubber gripper, and the head pivots to help you get the best shave possible (even on your ankles and knees!). Recently I had been having some issues with my old razor and was having to go over my legs a few times in order to remove all of the hair. However, with the Shai that was not a problem at all after going over my legs once they were completely hair free. I was able to get a really close shave, which lasted for about a week! While I am thrilled with the quality of the razor, the best part about it just may be its price. 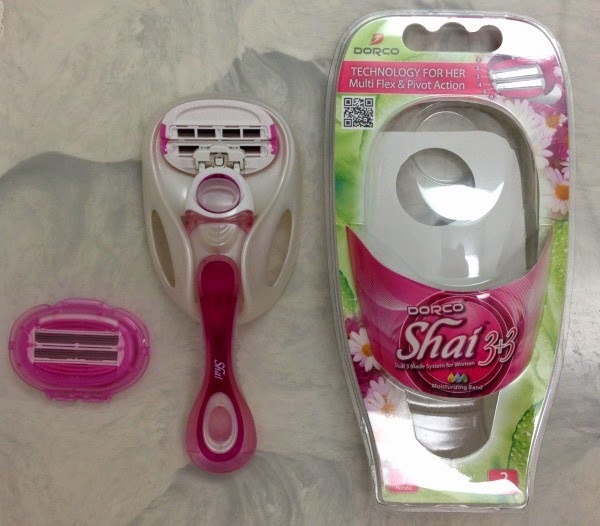 The Shai package, which includes two razor heads and the handle, costs a total of $5.95! This seriously blows other razors of comparable quality on the market out of the water. Overall, I really loved this razor and will definitely be purchasing it in the future. Not only will my legs be super smooth, but my wallet will be very happy! 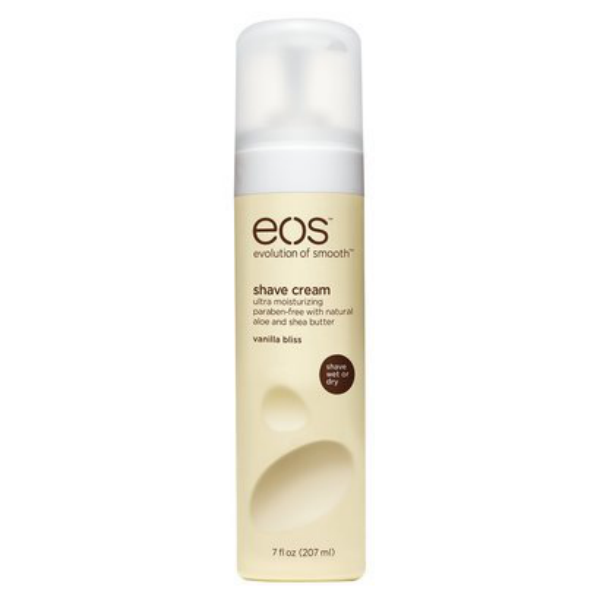 My skin is super sensitive and a shave cream works best for me. This one by far the best I have ever used ! 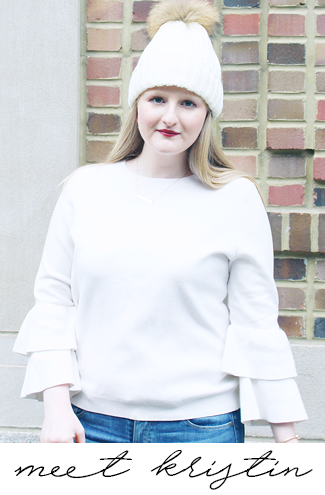 My skin has never had a reaction to it, and it is paraben free. My favorite part about it though is how yummy it smells! 1. Get in the shower. Wash your hair and put in a deep conditioner (this is a great opportunity for this!). Taking the time to do this first allows the hairs on your legs to soften from the heat of the shower, making them perfect to shave. 2. Lather up your first leg with a shave cream. 3. Now you are ready to shave so grab your razor. 5. Repeat on your other leg, and finish your shower. 6. As soon as you get out of the shower apply lotion or oil to moisturize and avoid itchy skin. 7. Enjoy your super smooth legs! *I received a Dorco Shai 6 Blade System for Women to facilitate my post, however all opinions are my own.